An investment in the growing economy in Mexico can make sense to take advantage of the abundance of natural resources and relatively low wage structure. 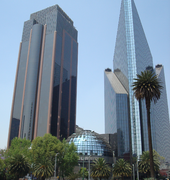 Mexico is the 14th largest economy in the world. In PPP (Purchasing Power Parity) it ranks 10th globally. In Latin America it is the second largest economy after Brazil. The overall economy is growing at only 2.99% but in comparison to some other areas of the world it offers longer term stability. A targeted investment will see faster growth. The export sector for example, was able to help boost growth in the second business quarter by 1% as sales to the United States rebounded. The economy is strongly linked to NAFTA (North American Free Trade Agreement) especially the United States. 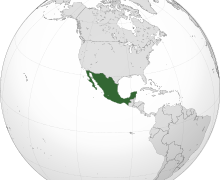 The PRI (Institutional Revolutionary Party) ruled Mexico for 71 years before a 12 year stint by the center-right National Action Party. 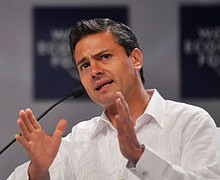 As of December of 2012 President Nieto has restored the PRI to power. The fairly new President has made commitments to reform in the fields of education, energy, and telecommunications. He also has vowed to make changes in fiscal policies. It is too early to tell if the proposed reforms will be enough to make the Mexican economy more competitive and therefore grow faster. Subsidies in the energy sector for example, have still not been reduced. It is important when investing in Mexico to be selective. In the 2014 Index of Economic Freedom Mexico ranks 55 in the world with an overall score of 66.8%. By comparison in the region, Canada ranks first at 80.2% and the United States at 75.5%. However, Mexico still does far better than the world average. The biggest challenge at present remains corruption. This is compounded by a general institutional weakness that pervades different aspects of society which includes the judiciary. It is often slow to resolve cases and vulnerable to dishonesty. The corruption is deeply embedded culturally. However, business contracts are generally upheld but the courts are inefficient and can be easily influenced by political and economic leaders. Drug trafficking and the rottenness it brings to a civil society, is a continuing problem in Mexico. In the Ease Of Doing Business Rank published by the World Bank the country receives the 48th rank. The population of Mexico is 114.9 million (11th largest globally) with a labor force of 78.2 million. The WTO (World Trade Organization) ranks Mexican workers the hardest-working in the world in terms of hours worked. Although it must be noted that profitability per man-hour remains low. By occupation 10.7% are engaged in agriculture, 33.4% in industry and 55.9% in services. Emigration to the United States has slowed somewhat in recent years. Unemployment in 2014 is 4.8%. A recent labor reform bill was watered down to protect the country’s powerful labor unions. Poverty continues to be a major issue for Mexico. The nominal GDP (Gross Domestic Product) is $1.2876 trillion USD (United States Dollar). In PPP that it is equal to 1.9266 trillion USD. Nominal GDP per capita is $10,767.25 USD ($16,111.46 PPP). By sector, GDP in Mexico is 3.6% agriculture, 36.6% industry, and services is the largest at 59.8%. The country is considered to be upper-middle income by the World Bank. By 2050, analysts suggest that Mexico will be between the 5th and 7th largest economy in the world. At 1,972,550 km2 which is the equivalent of 761,606 square miles Mexico is the 14th largest country in the world by geographic size. The country is the 5th largest country in the Americas by total area. As the most populous Spanish-speaking country in the world it has the second largest population in Latin America after Brazil. 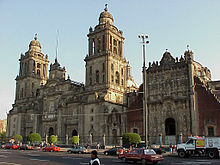 Mexico is comprised of 31 states and the Federal District of Mexico City which is the largest city and the capital of the country. 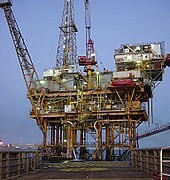 Mexico is the 10th largest producer of oil in the world and the largest global producer of silver. For travelers to the country it is ranked first in the Americas and 6th in the world for the number of UNESCO World Heritage Sites. The country possesses 32 at present count. Mexico is the 10th most visited country in the world. In 2010 alone, over 22 million international tourists arrived. The main industries of Mexico are beverages, chemicals, clothing, consumer durables, electronics, food, iron, mining, motor vehicles, petroleum, steel, textiles, tobacco and tourism. Mexico has the 6th largest electronics industry in the world after China, the United States, Japan, South Korea, and Taiwan. The industry represent 30% of the export market. This is made possible by the relatively low cost of manufacturing and design in the country. It is also the result of the close geographic proximity to the major consumer markets of South America and the United States. The designing and production of flat panel plasma, LCD and LED televisions is the largest sector of the electronics sector. Already by 2009, Mexico produced more of these devices than China and South Korea making the largest in the world. The country possesses the world’s 3rd largest production of computers with both domestic and international companies present. Exports already exceeded $370 billion USD by 2012. The major export partner is the United States with 78% of the total. Goods that were sold to their neighbor to the North include automobiles, coffee, computers, cotton, electronics, fruits, LCD displays, mobile phones, oil and oil products, silver, televisions and vegetables. Imports also exceeded $370 billion USD by 2012. Major trading partners for imports consist of the three countries of the United States, China and Japan at 49.9%, 15.4% and 4.8% respectively. Goods imported into Mexico consist mostly of aircraft and parts, agricultural machinery, metal working machines, metals, motor vehicles parts, oil production equipment, steel mill products. Public debt is at $341 billion USD as of 2010. That was 37.7% of GDP in 2013. In 2014 it has risen to 43% of domestic output. Revenues in 2010 were $234.3 billion USD and expenses stood at $263.8 billion USD. As one can clearly see, a relatively small deficit exists but it is rising. Economic aid continues to decline. Last figures were $189.4 million in 2008. The top individual income and corporate tax rate is 30%. However, the corporate tax is set to decline to 29% this year and 28% in 2015. There is also a VAT which is a value added tax, widely used in Europe to raise revenue. The overall tax burden is 10.6% of gross domestic income. Total government spending is equal to 27% of GDP. The Nieto Administration has proposed a tax overhaul to streamline the process and make it more efficient. Foreign Reserves as reported earlier this year registered $185.467 billion USD. Foreign Direct Investment stands at $12.7 billion USD. Foreign investment started to rebound in 2013. 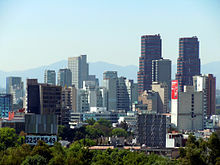 Although it must be noted that the Mexican government restricts foreign investment in several spheres of the economy. Inflation as measured by the CPI (Consumer Price Index) in Mexico is 4.1% in 2014.
Credit ratings for Mexico are stable in their outlook by all 3 of the major companies. Moody’s gives the country A3 and Fitch BBB+. Standard & Poor’s ranks domestic debt as an A for domestic and BBB+ for foreign debt. The T&C Assessment is A+. Together these statistics indicate that Mexico is able to finance it’s debts and liabilities at present. No minimum capital is required and the overall procedure to open a business has been simplified. There are 6 procedures and it usually takes 6 days to commence operations. However licensing requirements can sometimes take over 2 months to complete. Mexico has a 2.2% average tariff rate. Non-tariff barriers have been reduced by government action and through a numerous trade agreements. A number of reforms have strengthened the regulatory framework and opened up the financial system somewhat more in recent times. However, domestic bank credit to the private sector equals less than 20%. Investing in Mexico can be quite profitable if one focuses on a number of industries that include real estate, tourism and products that will be made for the growing export market.